As anyone who knows me can quickly confirm, I’m been around this business for rather a long time. During this time, I’ve worked with a lot of service teams, some pretty good, some er not so good. I’m very fortunate that I get to work with one of the best service teams in the business, here at Winco ID. One of the things that sets Winco ID apart from other companies in the labeling business is the quality of our service team and the high level of support they bring to our customers. The other day, we got to do a quick service photoshoot, so here is the team. From Left to right; Gary, Kirk, Dale, Tom. If you have an issue with any of your barcode printers, one of the guys will be happy to help you out. Give Iris – the super Service Administrator – a call at 603-598-1553 x243 and she will get you on the right road. 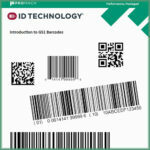 On-site barcode printer service is a great way to keep your labeling operations working at their best. Winco ID has a range of plans to suits different needs and budgets. Want to learn more? Use the contact page on the site and I’ll get you all the details. You can also get information directly from the Winco ID site here. Thank you so much for your suggestion.It seems to be a great service provider.